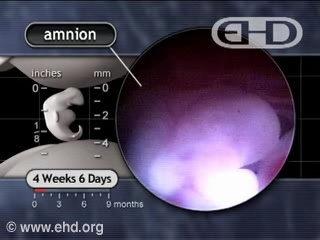 Script: By 4 weeks the clear amnion surrounds the embryo in a fluid-filled sac. This sterile liquid, called amniotic fluid, provides the embryo with protection from injury. 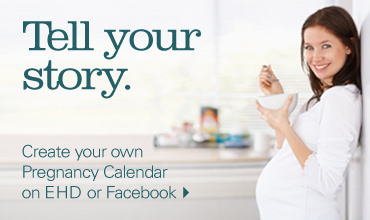 According to the website, all ages are referenced to fertilization not last menstrual period. I can not figure out if these videos are based on gestational age or actual age. Can anyone help me on this?